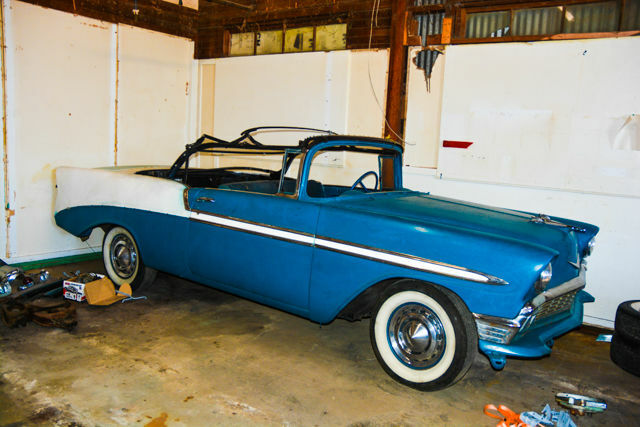 How many almost rust free, numbers matching project 1956 chevrolet Convertibles have you seen lately. This is a real rare barn find that is in running and driving condition and has all the parts to finish up a restoration, a lot of the parts are new. All of the stainless trim is there along woth the bumper cores.